At long last the Warriors were able to get this tie against Threave Rovers completed. The replay was originally scheduled for the 27th of November but the subsequent bad weather meant that the game was postponed 16 times. Threave worked hard to get the game eventually played and the combination of covers and machines borrowed from neighbours Queen of the South were major contributing factors to the game taking place. The pitch itself cut up during the game but was a lot better than anyone would have expected and it meant that the Warriors were able to conduct their business without any obstacles from the pitch. Since the first game the Warriors had seen the departure of John Coughlin to be replaced by David Irons who ironically played for Threave in the original tie and this proved to be the Warrior’s first victory under his stewardship. Stenhousemuir have managed to play two league games since the clubs last met and that was to be advantageous as Threave have been idle and therefore were lacking match fitness. Threave started promisingly and Chris McCluskey was called into action after 4 minutes to save a Sam Warren effort. This was to be as good as it got for the Castle Douglas side in the first half as Stenhousemuir had the bulk of the play though the home team looked to use the counter attack as their main weapon. Grant Anderson caused problems all night and he tested Threave keeper Vinnie Parker with a drive in 6 minutes but Parker dealt with the effort fairly comfortably. The keeper did not look too clever though when the Warriors took the lead in the 15th minute through a well struck Ross Clark free kick as he appeared to be a bit flat footed. Clark though placed the ball well though the small band of Stenhousemuir supporters were unable to give him the accolade for his effort as they struggled to pick the scorer out in the hazy conditions. When the Warriors were awarded another free kick in a similar position the crowd were more watchful of who was taking it and when Clark repeated his first effort in almost identical fashion it put any doubts to bed. After this the Warriors played as if all the tension had been lifted and started to play with more freedom than the nervous performances of late and they could quite easily extended their lead before half time. Alex Williams had a chance to extend the lead after the resumption but was to be denied and seconds later the home side reduced the deficit when Andrew Donley scored with a header. This brought about some nervousness in the Stenhousemuir ranks and it took until the 56th minute before they could breathe more easily when Alex Williams finished a free flowing move that was easily the best in the game up to that point. After that the Warriors looked to be enjoying themselves and Williams scored his second when a Grant Anderson cross picked him out and the striker scored with a tap in. There was still time for the Warriors to go nap when captain Jordan Smith headed home the Warriors fifth goal of the night. Threave Rovers – Parker, Wilby, Kerr, Patterson, Fingland [b11], P.Middlemiss [b49], Dunglinson, Baty [G.Middlemiss 82], Donley [Milligan 82], Struthers and Warren [b40][Cook 72]. 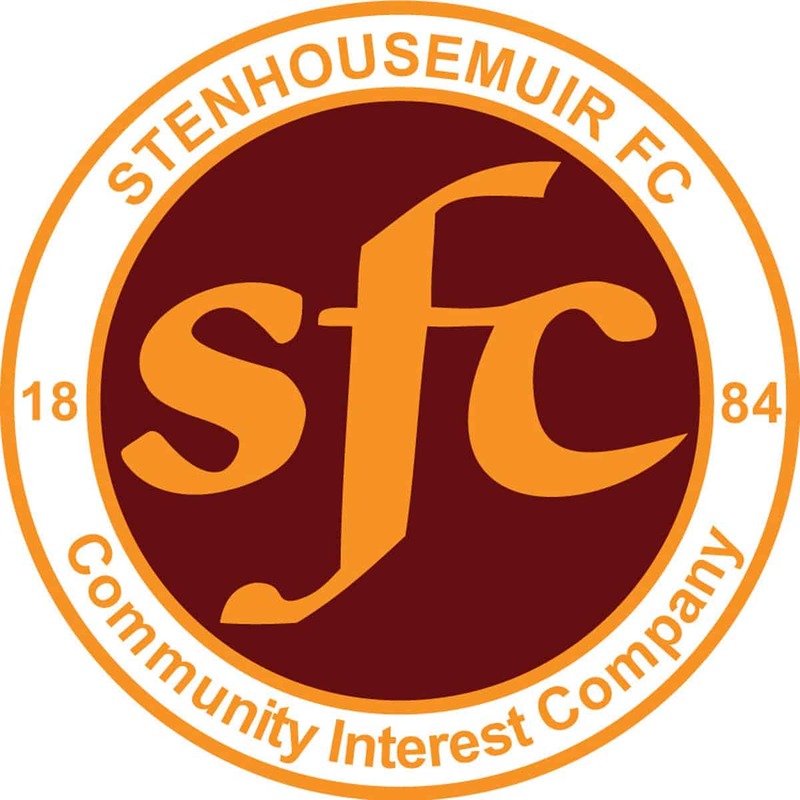 Stenhousemuir – McCluskey, Lyle, Dickson, Thom, Smith, I.Thomson [b79], Anderson [Scullion 85], Clark [Motion 69], Williams [Quinn 75], Dalziel and Murray.